Editorial illustration for Lahey Clinic Magazine Spring 2001 Issue. This illustration summarizes a glossary of headache types which are described in the feature article. 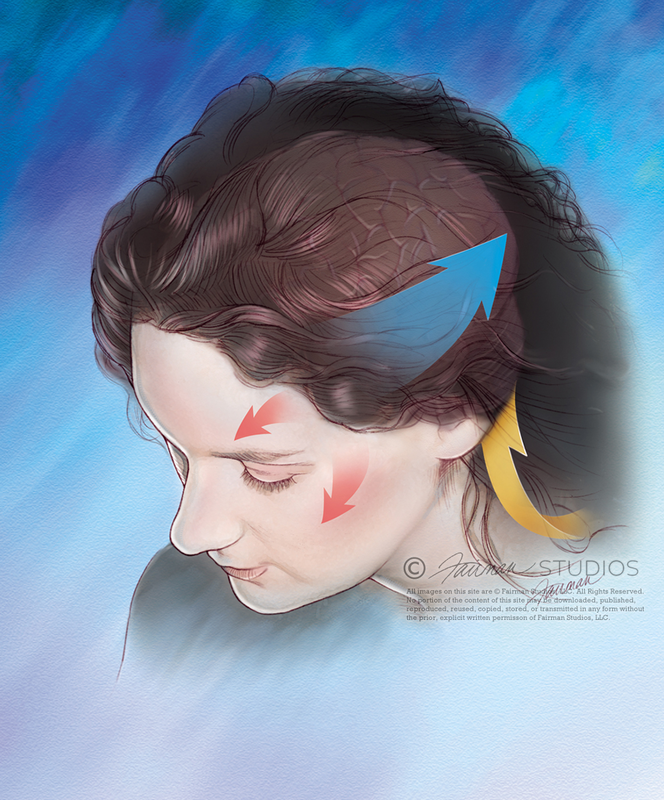 Depicted are the sites of common headaches: migraine (blue arrow) cluster (red arrows) and tension type (yellow arrow).